You can buy this ETF from brokerages. 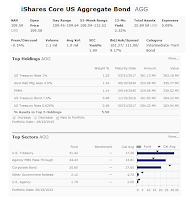 Some brokerages may offer this iShares Core Total U.S. Bond Market ETF for free through their ETF offerings. Brokerages which offer free ETFs are TD Ameritrade, Fidelity, and Schwab. The top 3 asset allocations are bonds (84%), cash (15%), and other (0.01%). This bond fund has an average effective duration of 5.29 years. Top 5 debt sectors are U.S. Treasury, Agency MBS Pass-Through, Corporate Bond, Other Government Related, and U.S. Agency. Investing in bond fund involves risks. The investment risks are interest rate risk, bond market risk, political risk, etc. This iShares Core Total U.S. Bond Market ETF has a high yield income. It is tracking an index. It has a low expense fee. This broadly diversified fund of U.S. investment-grade bonds can serve as the core for the fixed-income slice of investors' portfolios. The Barclays U.S. 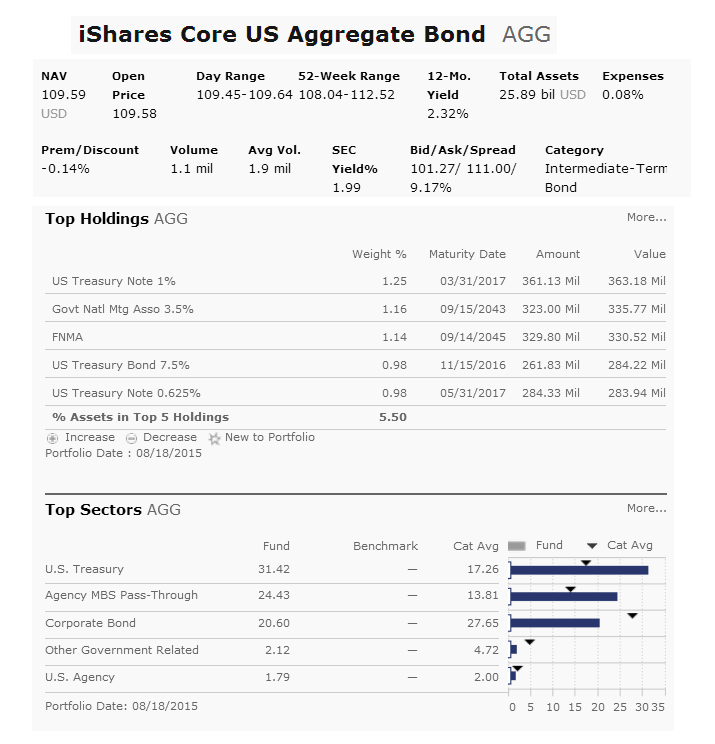 Aggregate Bond Index is the generally accepted benchmark for the U.S. investment-grade bond market. This index includes mortgage-backed securities, Treasuries, and corporate bonds. This fund may not a one-stop shop for comprehensive fixed-income exposure. It doesn’t include municipal bonds, Treasury Inflation-Protected Securities, or high-yield bonds.